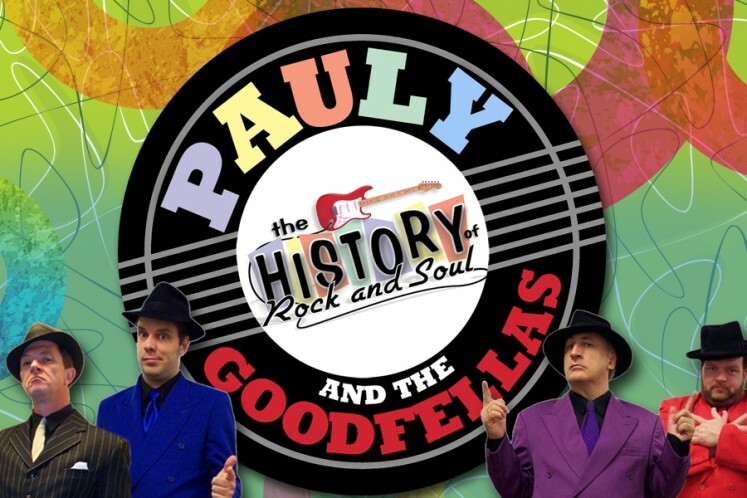 The “ultimate show from the gangstas of soul,” Pauly and the Goodfellas The History of Rock and Soul will take you through the history of the rock and soul genres in this premier musical comedy adventure. A grand tribute to the 1950s and ‘60s, Pauly and the Goodfellas The History of Rock and Soul explore the way that soul transformed the musical landscape of America from Aretha Franklin to the Temptations, from the Isley Brothers to Stevie Wonder. The show features the founding memberPauly, the “sweetest singer this side of the equator” Joey, the wacky and wild Reese, and the multi-talented, genre-bending Shane-O.